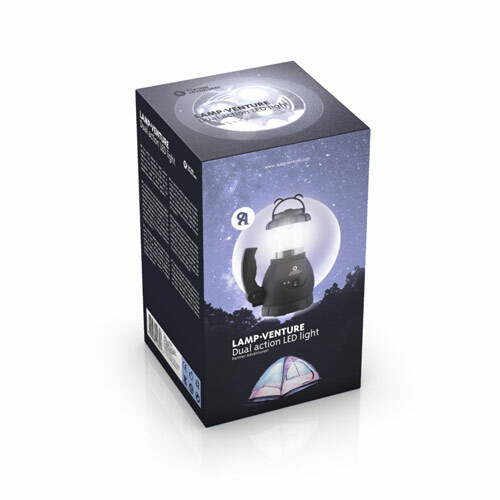 The perfect solution for night outdoor activities. 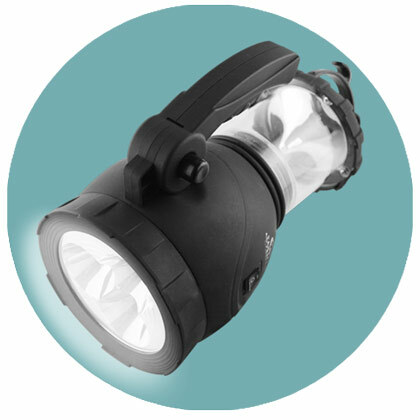 This dual-action lamp has 8 high-power LEDs: 5 for the lamp and 3 for the torch. You can choose the desired kind of illumination. Made of sturdy plastic with holders and handle. It requires 3 C batteries.